Entrepreneurship runs in Kimberly Casiano’s family. 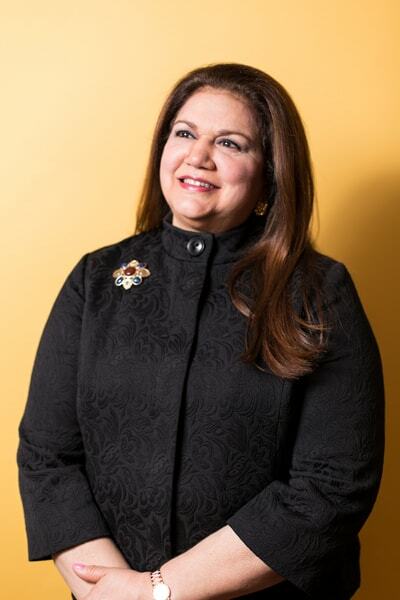 Her father founded Casiano Communications Inc. in the 1970s, and it rapidly became one of the largest Hispanic-owned publishing companies in the US. 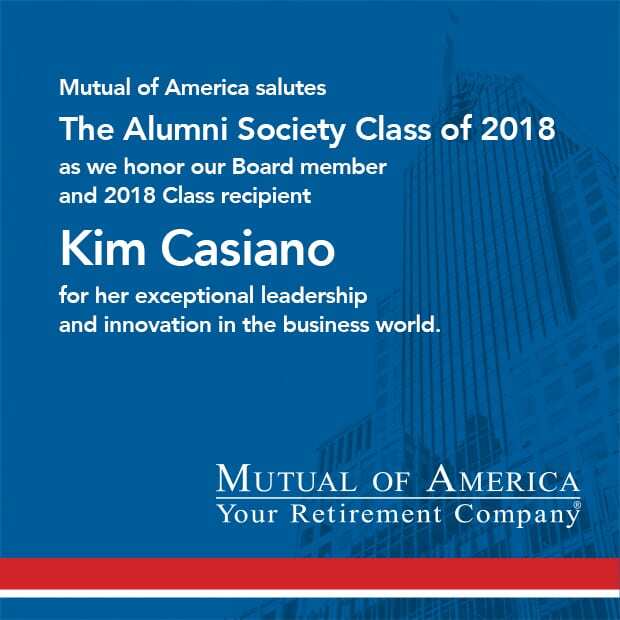 Following in his footsteps, Casiano launched Caribbean Marketing Overseas Corporation, a consulting firm that worked with the US government on economic development projects in the Caribbean and Central America, the year she graduated from Harvard Business School. After running her firm for seven years, she joined the family business, and in 1994, she became president of Casiano Communications. But she didn’t stop there. She applied the lessons learned from her entrepreneurial upbringing and her own experience in business leadership to her work in the boardroom at Ford Motor Company and Mutual of America. And she carried lessons from the boardroom back into her business leadership, as well. She spoke with The Alumni Society about the impact of entrepreneurship on her career and how she uses her position to advocate for increased diversity in the boardroom. What lessons did you learn from growing up in an entrepreneurial family? When I started my career, it was clear that entrepreneurs lived their business. Entrepreneurs had no time-clock, working very long hours—including many weekends. Over the past thirty-five-plus years, I have seen that some—not all—entrepreneurs, myself included, have learned that, due largely to technology, we can work “smarter” versus working longer and harder. We learned the importance of letting go, delegating, and hiring professional management. Learning to work smart allowed me to branch out into philanthropic and board work. What experiences from running your own business did you bring into the boardroom? An entrepreneur has to have a higher tolerance for ambiguity. In a large, multinational corporation, decision-makers and board members can rely on a whole team of experts. They analyze any given situation, and they bring you this boatload of information. That information is a double-edged sword: it can be positive or it can be paralyzing. The key is to know when you have enough input to make the decision before you allow yourself to be inundated with information and thereby paralyzed. As an entrepreneur, I’m used to making decisions same day if necessary, with limited information, and a tolerance for ambiguity. In today’s fast-moving world, I think that’s a skill that’s very important in the boardroom. What lessons did you take from the boardroom? One of the things that I’ve learned in the boardroom is how to cover a tremendous amount of material efficiently in a very short amount of time. This skill has been terrific to bring into my personal business. It’s helped me to become more focused, organize my thoughts, be more efficient and targeted in what I say, and be able to focus better on what’s most important to my customers and my clients. Why is emphasizing diversity from the top is so important? This was also something that was magnified to me because of my boardroom experience. I knew as an entrepreneur that I wanted to breathe my spirit and my vision into my team at the company. When it’s a smaller company, that’s easier to do. With a large company, it’s much more of a challenge to make sure that tone at the top is communicated down through the rank and file of your team all the way down to your blue-collar worker. Without that mind-set at the top, you’re not going to get diversity throughout the company. Think of all the different functions in a company. It’s not just hiring diversity in the boardroom or in the C-suite. It’s recruiting diversity all the way down to your blue-collar and your entering white-collar workers. It’s about targeting advertising and marketing specific to the US Hispanic market. It’s about a commitment to opening doors to minority suppliers. It’s about a commitment to Hispanic communities and helping Hispanic charities. Diversity is not an individual, unique action. Diversity is part of an integral strategy of a company. What is one way you advocate for women and minorities in the boardroom? I was one of the founding board members of the Latino Corporate Directors Association (LCDA). LCDA is the only entity in the US where Latino members of boards of Fortune 1000 companies and board-ready individuals can get together and learn from CEOs about different challenges that boards are facing and what boards are looking for. This organization has now evolved to the point where if you’re a member of LCDA, you are probably receiving at least one if not two or three inquiries per week from companies that are looking for Hispanics for board seats. If that’s not concrete leads, I don’t know what is. A key part of success is building a strong network. What is one way you cultivate your network? Relationships can only be built if you keep in touch for no other motive than keeping in touch. It is very annoying to me when I get a call or email from someone who I’ve met only once or twice, and they have a favor to ask. Honestly, I tell them that I won’t do the favor and I tell them why. I tell them that in the future, they should occasionally call, send emails, and cultivate relationships without any motive, without any need for a favor. Cultivate them when you don’t need a favor. To me, a network is not just superficial linkages. A network is relationships. How earthshakingly important it is to get home in time for dinner with my husband and children. My children grew up so quickly, and now my husband and I are making up for all those lost dinners by flying to where my children live, sometimes just to have a dinner with them and then fly out.